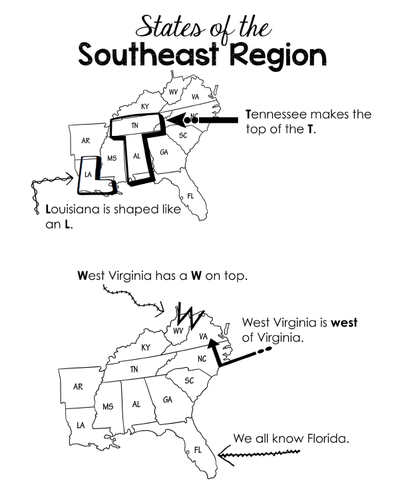 Students will have a map of the region that names states and capitals. 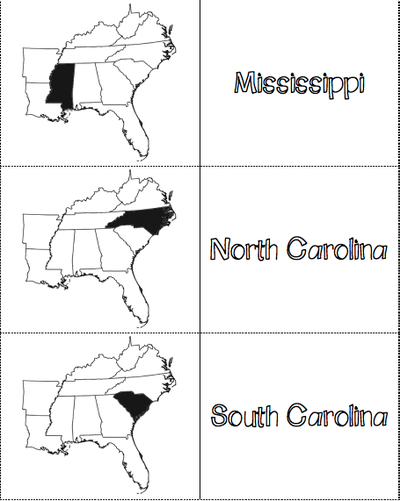 They will also have a chart that names state, capital, and abbreviation. Students also will be making flashcards that have the state outline, state name, state capital and abbreviation that they will keep in a plastic study bag. Over the next few weeks we will be discussing the natural resources/products, climate, landforms, etc. from each state in the region. 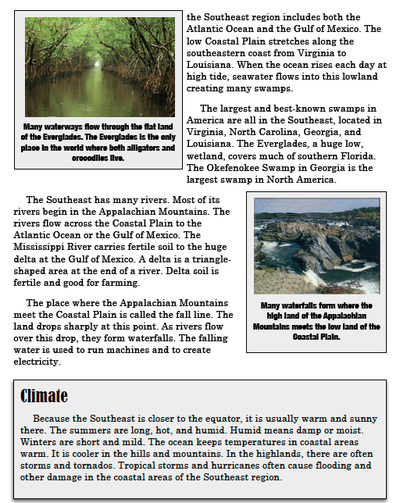 Please watch the videos, PowerPoint below and check out the games as extra study tools! 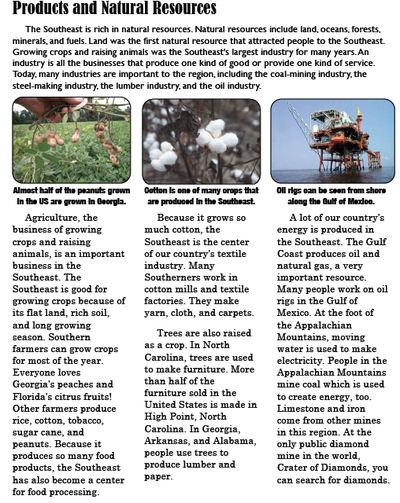 -Facts about economy, climate, products, resources, etc. 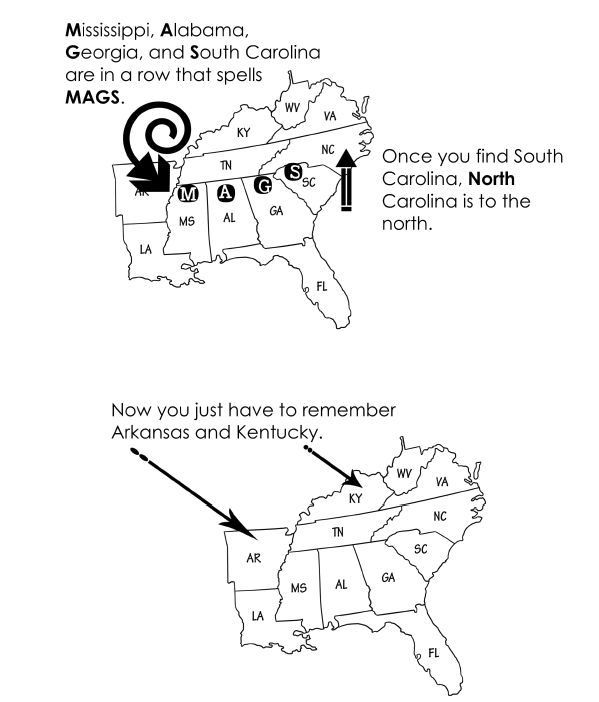 ALL MATERIALS HAVE BEEN PROVIDED TO YOUR CHILD! 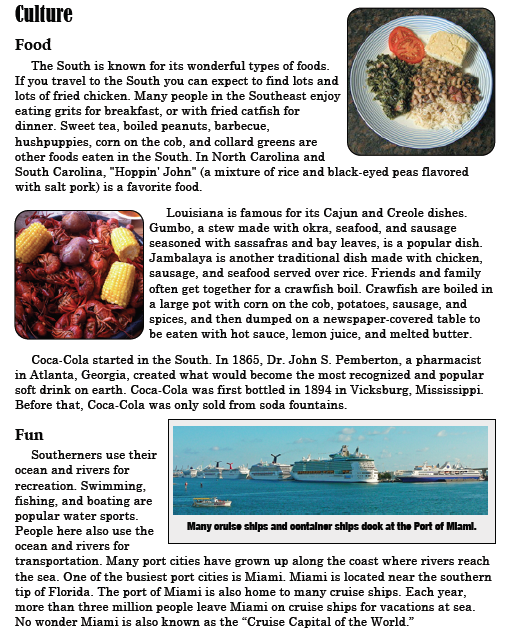 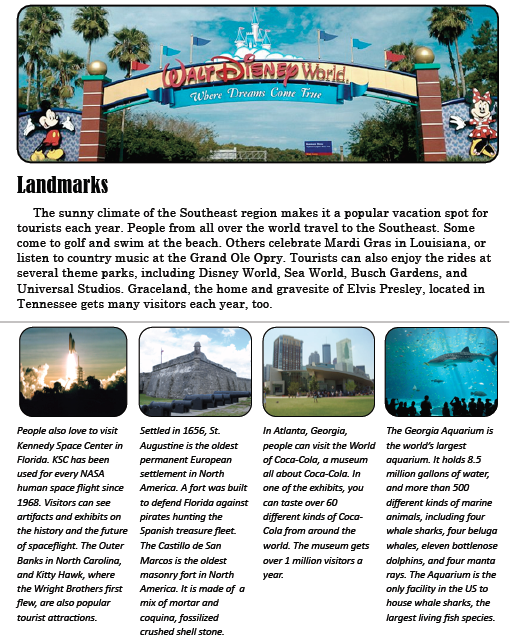 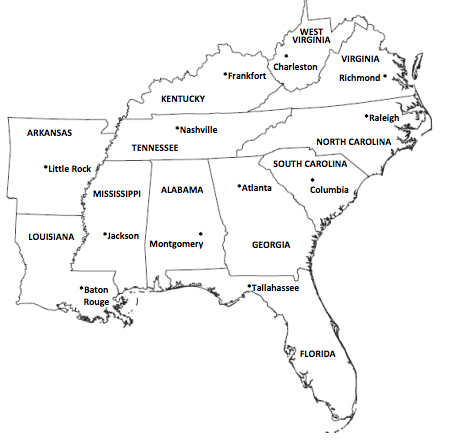 Here you will find all the information relating to the Southeast region of the United States. 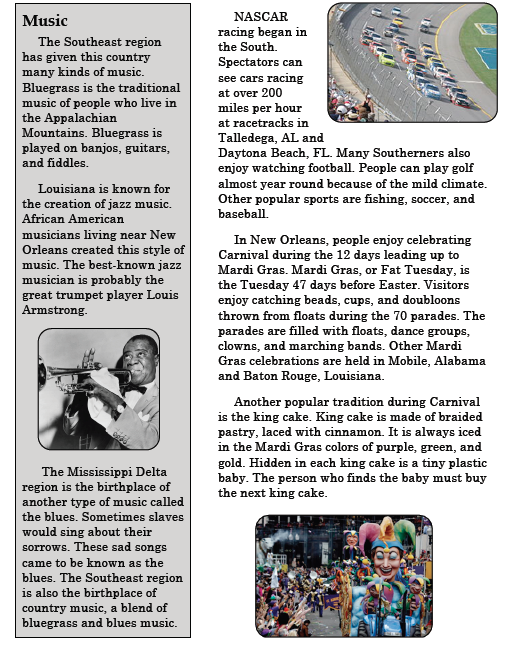 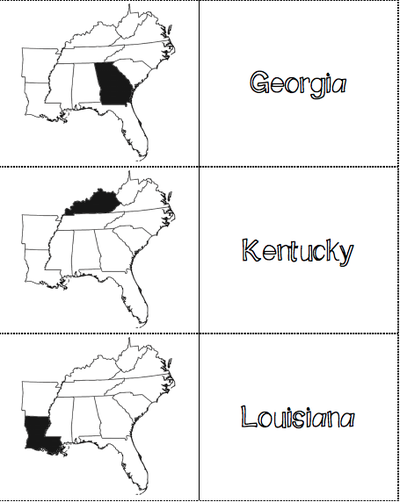 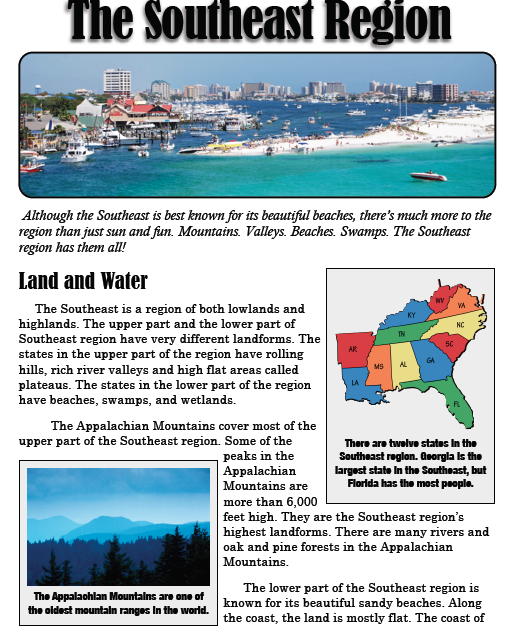 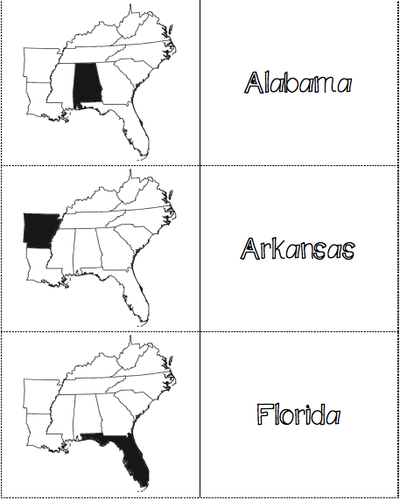 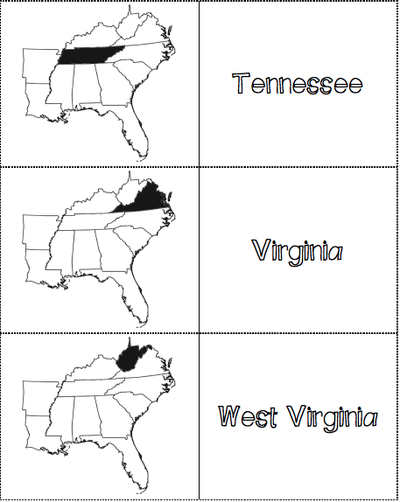 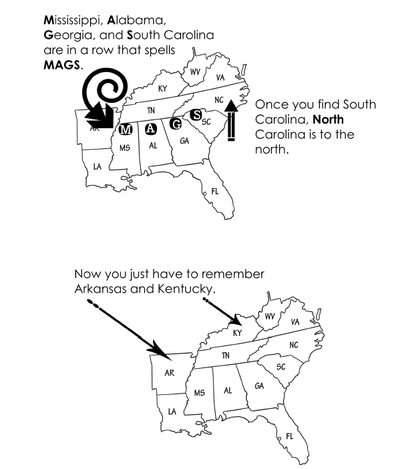 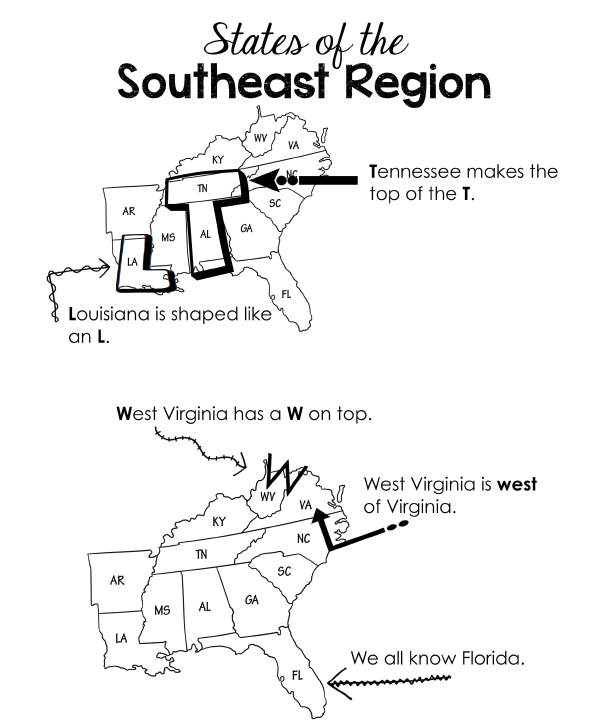 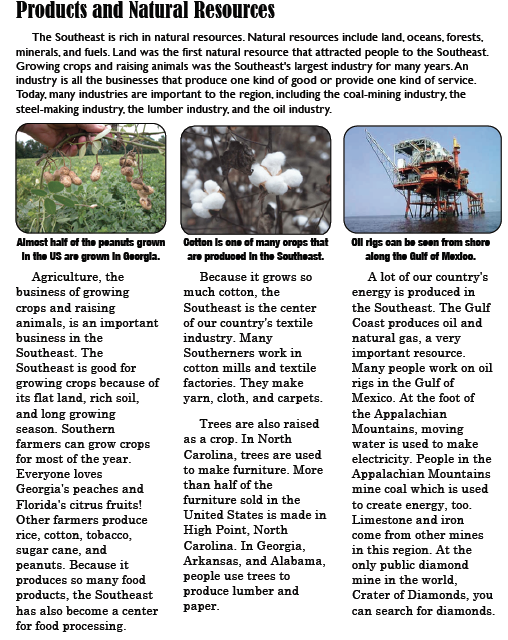 Students will be expected to know the 12 states, capitals and abbreviations of the Southeast.